A bush cherry that can grow in most places… perfect! 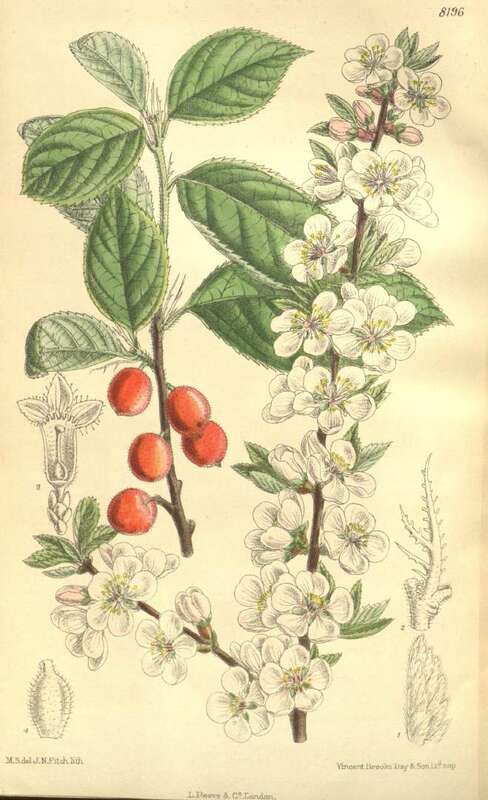 Other Names: Manchu Cherry, Chinese Dwarf or Bush Cherry, Downy Cherry, and many more. 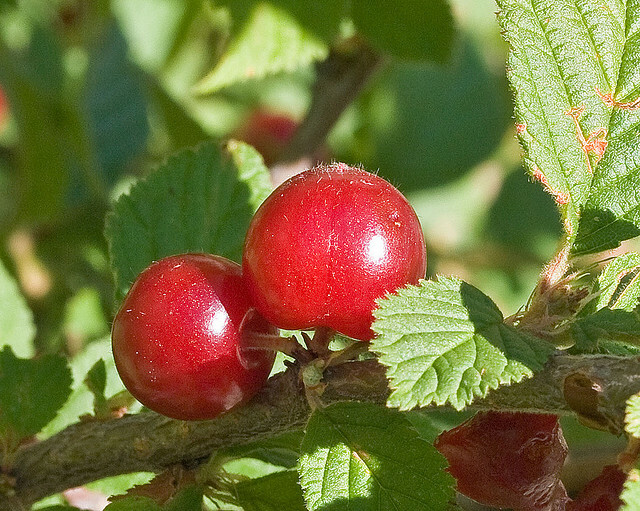 The small, sweet cherries have soft hairs on them. 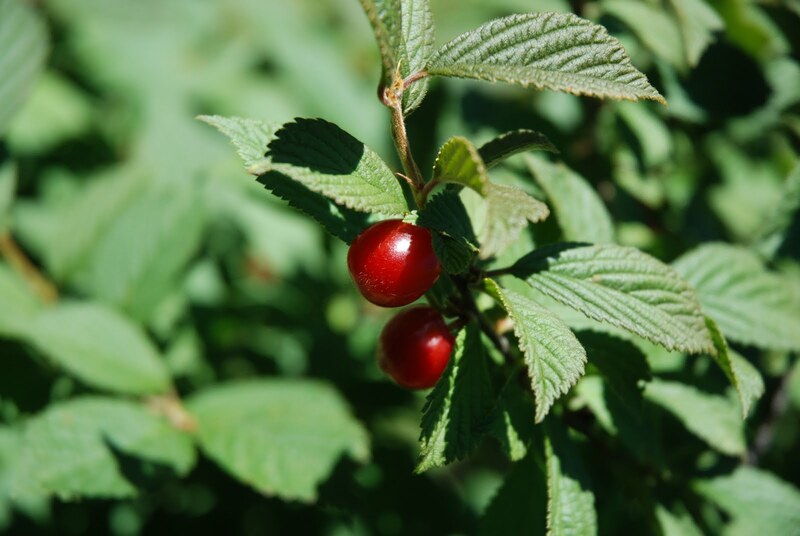 Nanking Cherry is a medium to large, multi-stemmed shrub from China that produces small, shiny, red berries with a juicy, true cherry flavor – it is a true bush cherry. 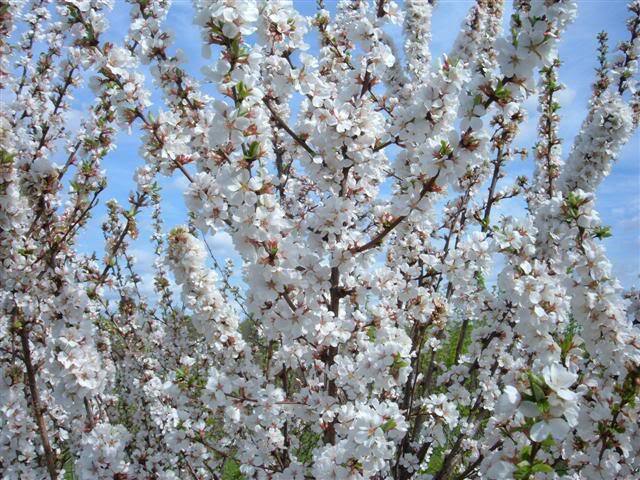 It can produce in almost any growing condition, tolerates some shade, is very resistant to diseases, tolerates drought, and because it is much smaller than a full cherry tree, it is easier to protect the tasty fruit from hungry birds. 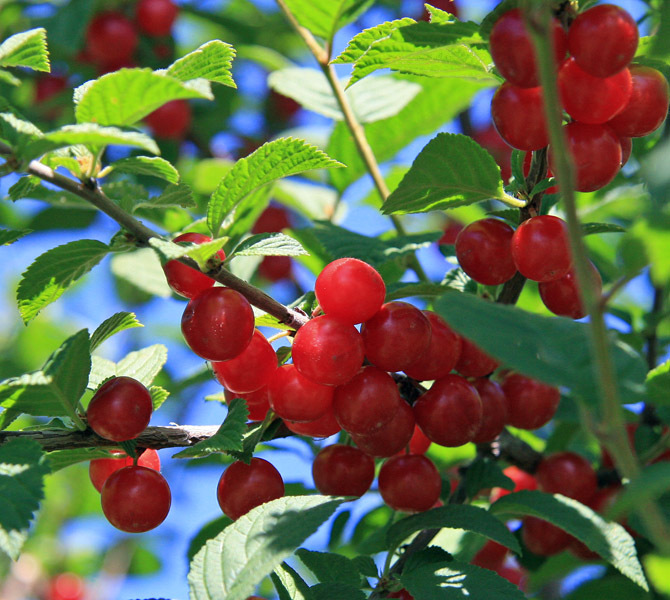 A native to the central hills of Asia, Nanking Cherry has been cultivated for centuries. Introduced to Britain in 1870 and to the U.S. in 1892. 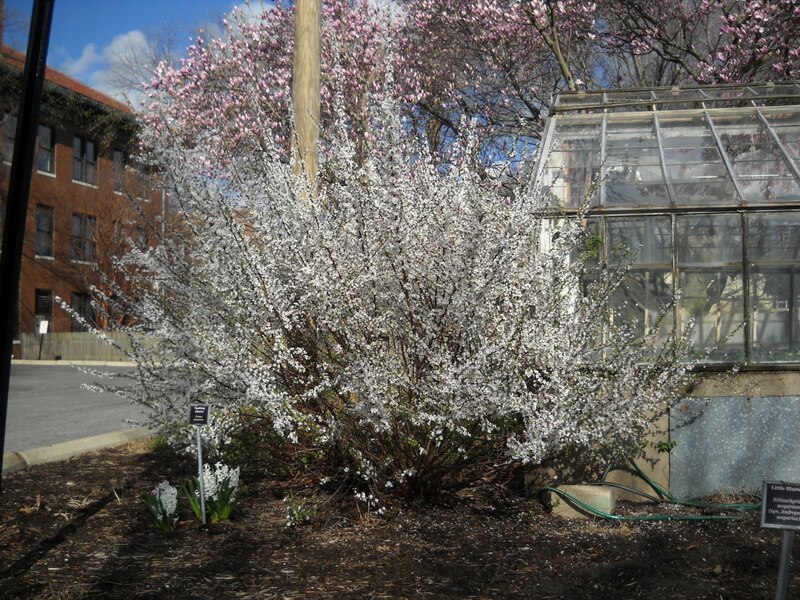 Nanking Cherry fruit is usually bright red, but pink and almost white fruited plants exist. 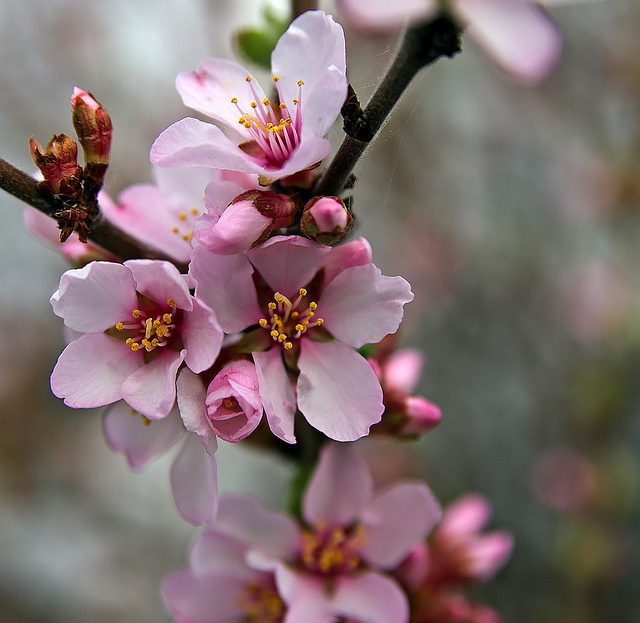 Nanking Cherries do not reproduce true to type… meaning that each fruit contains a seed that will grow into a shrub that resembles the parents, but may be shorter, taller, wider, thinner, and produce fruit that may taste better or worse or ripen to a different shade of pink to red. 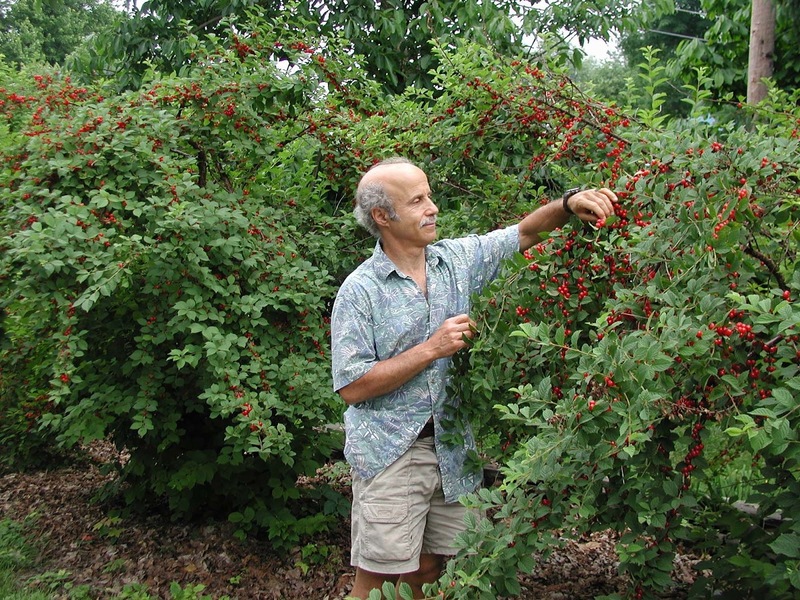 Lee Reich (gardening author) showing how easy it is to harvest Nanking Cherries. 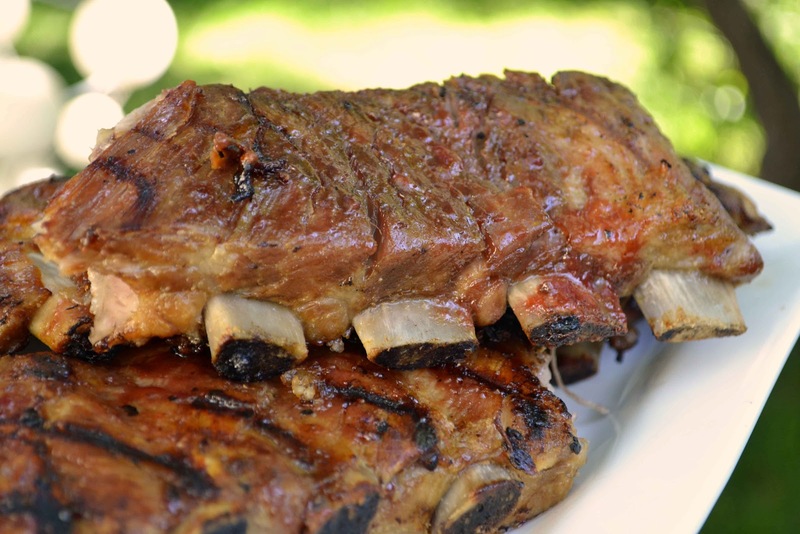 Alcohol – primary or as flavor addition to beers, wines, cordials, liquors, etc. Harvesting: Late Summer (July-August). Fruit is about half an inch (1.2 cm) in diameter. Pick when the fruit is fully colored and juicy. Remember there is a pit (seed) in the center. Storage: Fresh fruit does not store well and is best eaten fresh – within a day. The fruit’s stem stays on the shrub leaving a hole in the top of the fruit allowing juice to leak out… which it will readily do. Can be dried after pitting. Beautiful, fragrant flowers that attract beneficial insects are just one great thing about this plant. The pink blossoms turn to brilliant white as they mature. Cultivars/Varieties: There used to be a large number of named varieties, but many have slowly been lost over the last 100 years. Mostly non-named seedlings and a few named varieties are available. Flowering: Spring (April-June). I’ve seen conflicting statements about Nanking Cherry’s susceptibility to late-spring frosts. Both sources are very reliable, so I can only assume that different plants exhibit different traits. …but the Spring flowers and almost black branches in Winter make this an attractive plant. Does not tolerate juglone (natural growth inhibitor produced by Black Walnut). Do not plant near Black Walnut or its relatives. Propagation: Almost exclusively from seed. Seeds require 2-3 months cold stratification for germination. Can be propagated through cuttings. Can be propagated through layering in the Spring. Minimal. Can prune in the center for good air flow and light penetration, but it is not needed. Some plants can develop “branch dieback” which is either a fungal or bacterial infection. Some growers will cut out diseased branches, but it will rarely kill the whole plant. If the plant seems to producing less than in years previous, a severe pruning (up to cutting back to the ground) may trigger a quick and productive rejuvenation. Poisonous – Leaves and seeds contain a precursor to cyanide (large amounts need to be eaten for this to be toxic).